Company ValuesThe more diverse our workforce, the better able we are to respond to and reflect our audiences in all their diversity. Stonehill Engineering is an engineering company offering design and development, toolmaking, CNC and conventional machining, milling and turning, low to mid volume injection moulding, and custom specialised parts for our Anthropomorphic Test Devices. Quality customer service is one of our key commitments, we believe in continuous improvement and adhere to stringent quality checks at all stages of the production process. Our continued investment in the latest plant technology and machinery has been a determining factor in our steady growth, supported by a commitment to achieving the highest standard of quality, both during and after production. Stonehill Engineering has an impressive array of equipment, including 5 Axis machines, enabling the delivery of complex products with incredible accuracy. Design and Development: Our dedicated team offer a comprehensive service from concept through to production. This includes initial consultation, 2D drawing of components and 3D model production for manufacture. 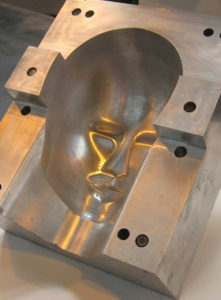 CNC Machining/Conventional Machining: In all areas including milling and turning- providing total production needs. Injection Moulding: We specialise in low to mid-volume injection moulding, utilising a variety of materials. Many types of assembly work and finishing processes on moulded components can also be completed, and an impressive range of on-site equipment and technology allows optimum flexibility and versatility for all customer orders. Welding and Fabrication: Sheet metal work and MIG and TIG welding can be completed using a variety of metals. Bespoke and Custom Parts: Our skilled in-house design department creates, designs and alters bespoke components for clients. 3D CAD technology, compatible with all the latest process-flow software, is used to compose accurate engineering drawings. These can be developed to produce computer visual models and solid models. The end result is a fully bespoke and accurate manufacturing process from start to finish. Toolmaking: We offer a complete component production process to turn concepts into 3D models or parts for production. This, in turn, can be followed on by a prototyping or prototype moulding service. We aim to be a one-stop tooling package provider.